Is there anything more satisfying that finding an item of clothing you love, yet paying next to nothing for it? Celebrities for instance, they have the budget and the access to wear a full designer outfit, yet still choose to shop the high street and I think it's great. 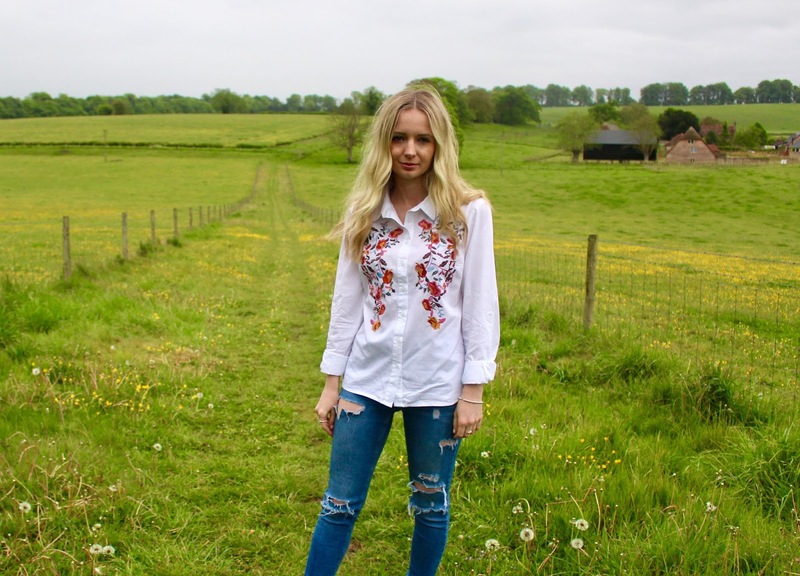 A bit like those of us with a regular budget, you buy a top which let's say is approximately £20+ a time in most places, but with a a bit of digging, you'll be surprised at what you can find in lower-budget stores. I picked up this shirt whilst on a styling project with a client, I was given the task to source on trend items within the shopping centre for some Facebook live videos and lo and behold, I found this little number in Pep & Co (which I assume most of you may not have heard of?). 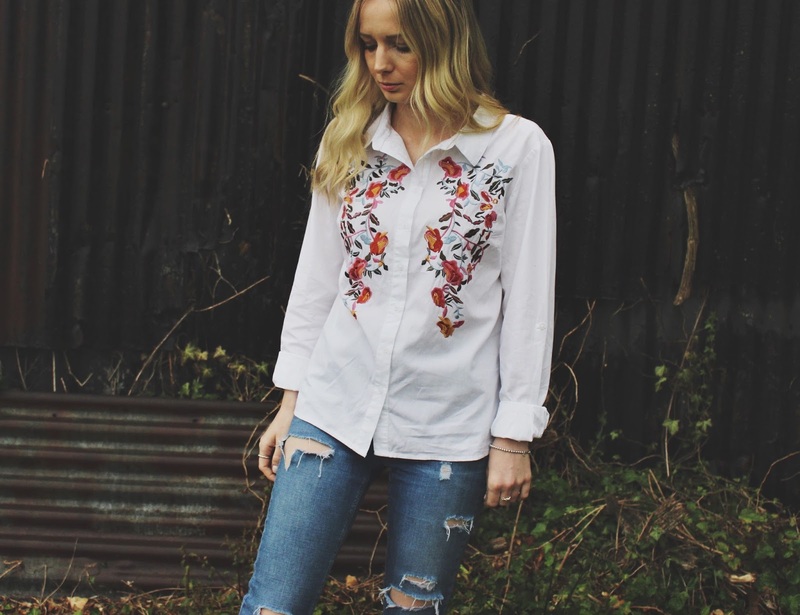 I love the embroidery and selection of colours within the floral pattern and it's an update on the classic white shirt. It could be chucked over a bikini on the beach, worn with trainers during the day, or dressed up with heels for a night out and at £10.. well, i've already got my moneys worth!